Non-organic cotton has been called the world’s dirtiest crop because of its unparalleled use of insecticides, water, and land, and its high level of Green House Gas emissions. Conventional agricultural practices cause soil erosion and chemical run-off into water systems, which can mean that weeds and insects become resistant to herbicides and pesticides. In non-organic farming, 320 pesticides can be routinely used. Organic farmers are permitted to use just 15, all derived from natural ingredients, and only under very restricted circumstances. They prefer to decrease or avoid pest and disease problems without the use of chemical inputs, instead using crop rotation and selecting crop varieties with a natural resistance to such bothers. Not only do these practices significantly reduce soil and water contamination, they also combat soil erosion, which, in turn, combats climate change. This is because healthy soils are a major container of carbon, storing three times as much carbon as the atmosphere and five times as much as forests. Organic wool comes from farms that prioritise the well being of the sheep and the environment. Organic sheep are reared, fed, sheltered, and transported in ways that maximises their comfort and minimizes their stress. They are fed organic feed, grazed on organic land, and are given free range to pursue their natural behaviour. Farmers take a preventative approach to disease so animals are not routinely given antibiotics, wormers, or pesticides. Cruel practices such as mulesing are prohibited. With regards to the processing of the wool, there are strict requirements that ensure that the chemicals used are non-toxic and are biodegradable. This is in contrast to non-organic wool manufacturing which uses tens of thousands of highly toxic chemicals including heavy metals and formaldehyde, which have been associated with cancer, birth defects, and hormonal and reproductive effects in both humans and wildlife. The end result is that the final products do not contain allergenic, carcinogenic, or toxic chemical residues on them. These residues would inevitably be inhaled or absorbed through the skin, causing a number of health problems. Similarly to organic sheep, organic cows are reared with their well-being and the environment in mind. The same practices regarding feeding, and disease control thus apply. One of the largest problems with conventional leather production however, is the tanning process, which is extremely toxic for people as well as the environment. There have emerged a few organic leather brands that are attempting to reverse the damage of commercial tanneries. Their leather is free from chrome, metal, formaldehyde, sodium sulphide, glutaraldenhyde, and sulphuric acid – they use only natural materials to cure, preserve and tan the leather. These all natural, all biodegradable bark tannins, plant tannins, lime, or smoke keeps the process environmentally friendly, and means that the non-toxic wastewater can be used to re-fertilise the fields that raise the cattle. For many consumers, ethics and sustainability in fashion centres around the use of animal by-products. In addition to the obvious and significant ethical issues surrounding the culling and mistreatment of animals for their hides, and being extremely land, water, and energy intensive, the meat and leather industry is one of the most environmentally harmful in the world. Meat and leather production is responsible for the emission of more manmade greenhouse gases (18%) than the global transportation industry (13%). The chemicals used in leather tanning make it one of the most toxic processes. 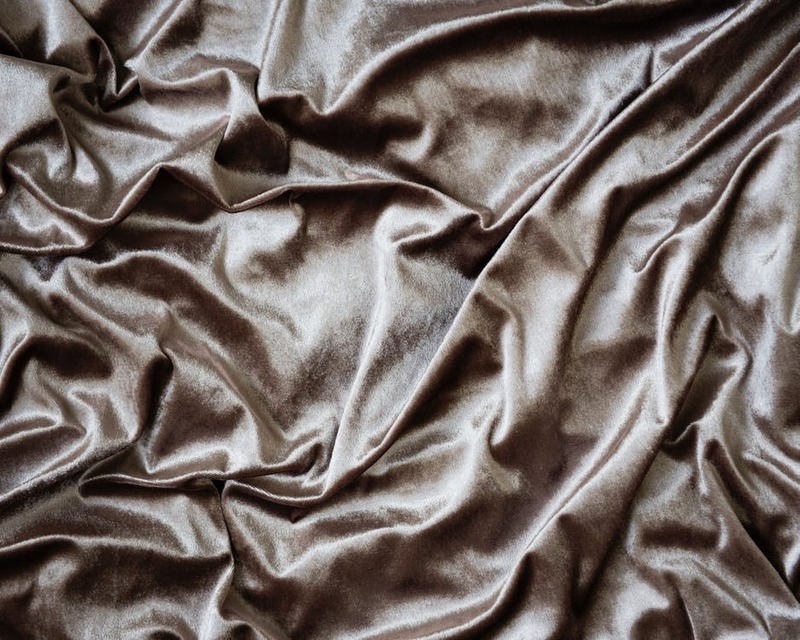 Chrome, a known carcinogen, is used in vast measures, and the groundwater in the vicinity of leather tanneries in developing countries has been found to contain critically high concentrations of formaldehyde, lead, and even cyanide. This causes cancer and other fatal illnesses in the surrounding populations. Furthermore, animal skins used for clothing and accessories are pumped with corrosive, toxic chemicals that prevent them from decomposing – the antithesis of what we would expect from natural resources. This impact is made only more severe by the deforestation associated with animal rearing that has resulted in the loss of important ecosystem services. 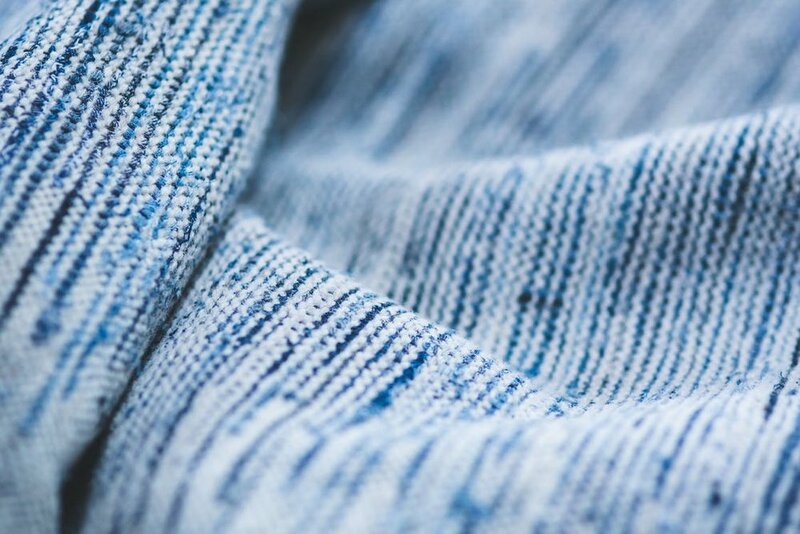 With growing ethical and environmental concerns surrounding the use of animal by-products in fashion, pioneering technology has allowed for the development of vegan* textile and fabric alternatives. It is acknowledged however, that these substitutes, even the plant-based textiles, are not always without environmental concerns. It thus comes down to constructing an ‘Environmental Profit and Loss’ to directly compare the impacts of synthetic alternatives to those of the ‘real thing’. *Be wary of alternatives labeled as vegetarian, for they may use glues or other substances that use animal products. Organic, like Fairtrade, is a buzzword that is popular in both the food and textile industries. It refers to food and textiles cultivated and produced with the use of feed or fertiliser of plant or animal origin, and without the employment of chemically formulated fertilisers, growth stimulants, antibiotics, or pesticides. As the name suggests, the Global Organic Textile Standard (GOTS) is the world’s leading processing standard for textiles made from organic fibres. It defines high-level criteria from the harvesting of raw materials, through the environmentally and socially responsible manufacturing process, up to labelling, in order to provide a credible assurance to the end consumer. Garments and textiles labelled with the GOTS Mark, have completed the rigorous certification process, and have thus been licensed to do so. Only textile products that contain a minimum of 70% organic fibres can become GOTS certified. The GOTS label grade ‘made with organic’ requires a minimum of 70% certified organic fibres. A maximum of 10% synthetic fibres can be used. Socks, leggings, and sportswear can be made from up to 25% synthetic fibres. The GOTS label grade ‘organic’ requires a minimum of 95% certified organic fibres. These checks and balances all work to provide a credible assurance for the integrity of GOTS certified textiles. The principles of the cultivation and farming of organic fibres themselves, recognise the interrelationships between all parts of the production system, from the soil to the consumer. Organic fibre certification, similarly to GOTS, is concerned with both the regulation of chemical inputs such as pesticides, herbicides, fertilisers, preservatives, and antibiotics in the crop growing and animal rearing process, and the social and environmental responsibilities of the farmers. Dyeing is the process of adding colour to textile products like yarns, fibres, and fabrics. Historically, the primary source of dye has been nature, colours made from plant and animal sources, but since the mid 19th century, humans have been producing artificial dyes that attain a wider range of colours, and that are more resistant to washing and overall use. However, synthetic dyes have harmful effects on both human beings and the environment. They are made up of toxic chemical compounds, the largest class of which being Azo dyes, that can be very dangerous for people who are exposed to them, not only at the time of production, but when particles become detached from garments through rubbing and are transferred to the skin. Wastewater contamination too, is a huge problem with synthetic dyes. Even after wastewater has been properly treated, residual chemicals from the dyeing process continue to be present in water supplies. What is more, in developing countries such as India and China, where wastewater is not as closely regulated, untreated dye effluent is often dumped directly into important bodies of water, severely affecting humans, aquaculture, and agriculture. The solution is to revert back to the use of natural dyes. They do not have the same toxic residues as artificial dyes, they can be grown organically, and they are carbon neutral. Additionally, their use is beneficial at an artisanal level – rekindling centuries old cultures and skills provides work in areas of rural unemployment, directly improving the livelihoods of craftspeople and their communities. The traditional process forms part of an ecosystem, with wastewaters being used to water and fertilise the land, providing nutrients for microorganisms. Additionally, a range of eco-responsible polyester dyes has been developed for digital printing on polyester blended fabrics. More companies are starting to practice good business and natural dyes, or more efficient treatment processes, are more frequently used. This is due, in part, to the fact that environmental and subsequent health effects of synthetic dyes are increasingly becoming subject to scientific scrutiny, which in turn, has seen the imposition of legislations controlling their release into the environment. The problem, as mentioned previously, is that the majority of garment production and dyeing takes place in developing countries where, often, health and safety protocols are not well enforced. Here, the use of substances such as AZO dyes, whose presence in products likely to come into close contact with skin has been banned by the EU, goes unregulated. A 2012 Greenpeace study found traces of such substances in items of clothing from 20 global brands sold across 29 countries, including two products from Zara.